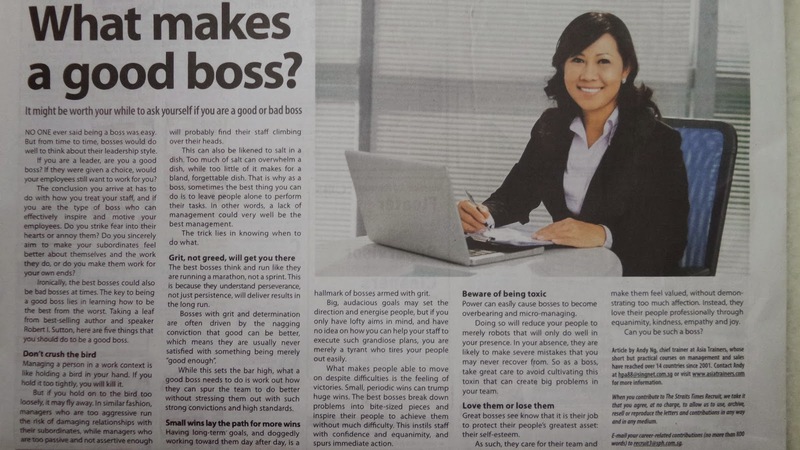 Business and Money Tips: What Makes a Good Boss? 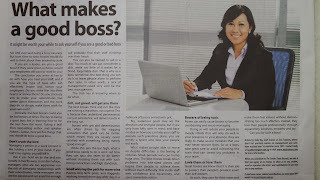 Are you a good boss? Given a chance, would your employees want to work for you? Most importantly, are you able to make people better than themselves, or make people better for just yourself? Small Wins Lay the Path for More Wins. Having long-term goals, and doggedly working toward them day after day, is a hallmark of gritty bosses. Big, hairy, audacious goals set the direction and energize people, but if you only have such big goals, you are merely a tyrant and will tire your people out easily. What makes people able to move on despite difficulties is the feeling of victories, and small, periodic wins definitely out-win big end-of-period wins. The best bosses break down problems into bite-sized pieces and inspire people to achieve them without much difficulty. Doing so instils confidence and equanimity, and spurs immediate action. Beware of the Toxic tandem, where bosses because of their power becoming over-bearing and watch over every little step of their employees. Doing so will reduce your people to merely robots, they will naturally 'out-perform' when you're there, and once you are absent, they will not only not perform, they will actually make severe mistakes that you may never recover. They called this the poisonous toxic that create cancers in your team! Love Them or Lose Them. Great bosses see their job as getting on peoples' backs and protecting people's greatest asset: their self-esteem. They care and love their team, but never get into any loving affection. The 4 ways to professionally love people at work are equanimity, kindness, empathy and joy. Grab the hidden details at here. Note: PIC Bonus (Productivity and Innovation Credit) 60% Grant is available for this course. Call Idah at 6225-1784 to find out how.